Lamb Gyros is one of my favorite foods. We enjoy going to Findlay Market in downtown Cincinnati and eating at this little Greek stand within the market. 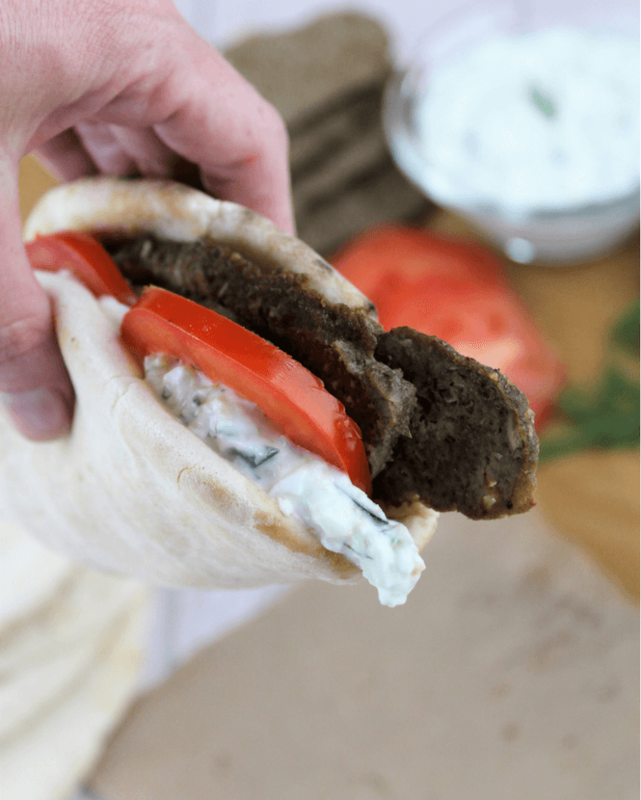 The gyros are so delicious and I was really inspired to make an authentic gyro at home and skip the traffic going downtown. To give Lamb Gyros that authentic flavor and texture, it is important to follow each step in the “meatloaf” preparation. That is really what we are doing here: creating a meatloaf with Greek flavors. 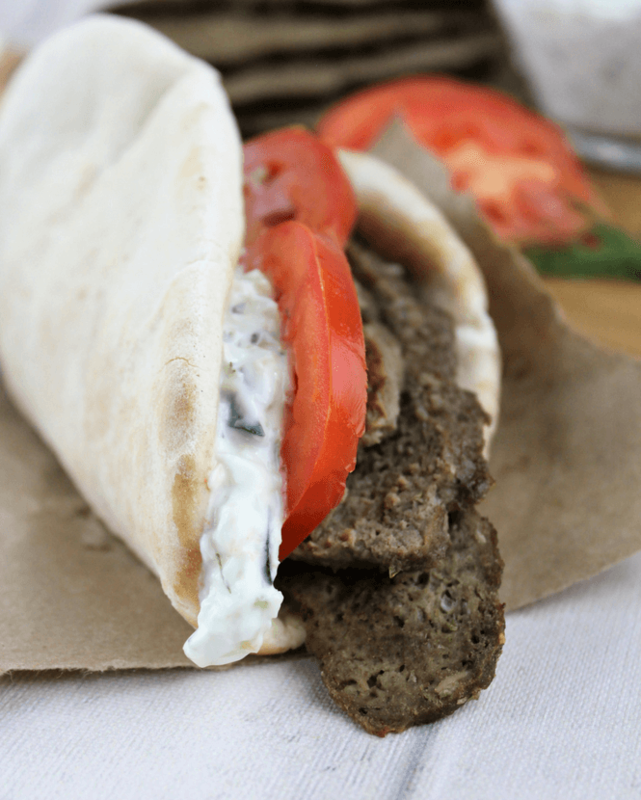 Once the meat and flavors are mixed, you will place it all in the food processor, form your meatloaf, cook, slice, broil and build the gyros. The steps are somewhat time consuming but well worth it and not difficult. 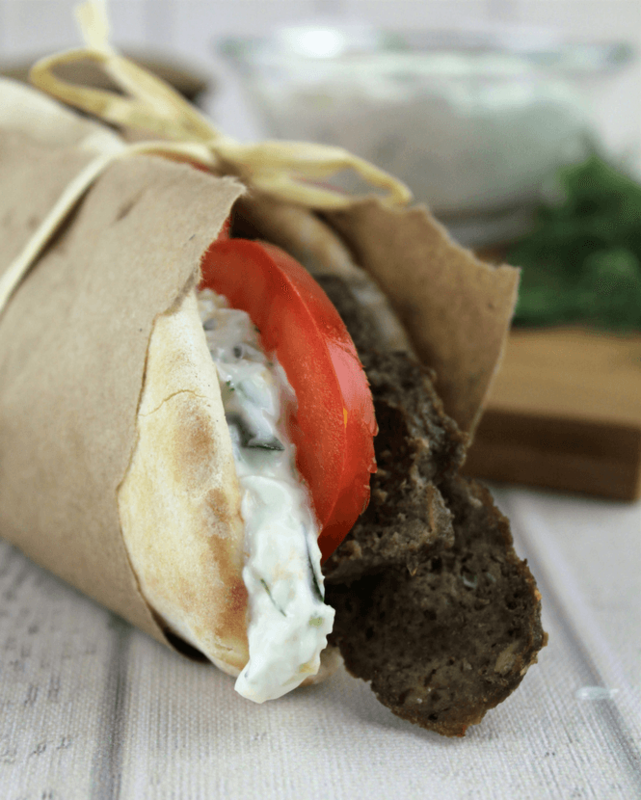 Lamb Gyros is a great recipe for weekends or when you have some extra time during to prep dinner during the week. You can’t have lamb Gyros without the tzatziki sauce. We have a recipe here at Simply Made Recipes for tzatziki sauce HERE. Pick lamb and ground beef that are fresh and bright red. The seasonings will brown it like you see in the photos. I typically go for very lean ground beef but in this case, get a meat with some fat to add in the moisture and help keep the meatloaf together. I recommend naan bread but pita works well also and is what I used today. My grocery store is inconsistent about stocking naan so it isn’t always an option for me. Either bread will be just fine though. Love Greek flavors? Try our recipe for Lamb and Feta Nachos with an awesome marinated, slow cooked lamb over tortilla chips with avocado, tomatoes, feta, olives and tzatziki sauce. In a large mixing bowl, add ground beef, lamb, egg, diced onion, minced garlic, rosemary, cumin, salt, pepper and majorum. Mix well, cover and place in fridge for one hour. 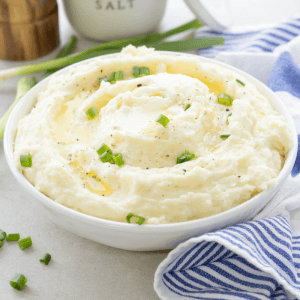 Remove from fridge and place into the food processor until it becomes sticky. 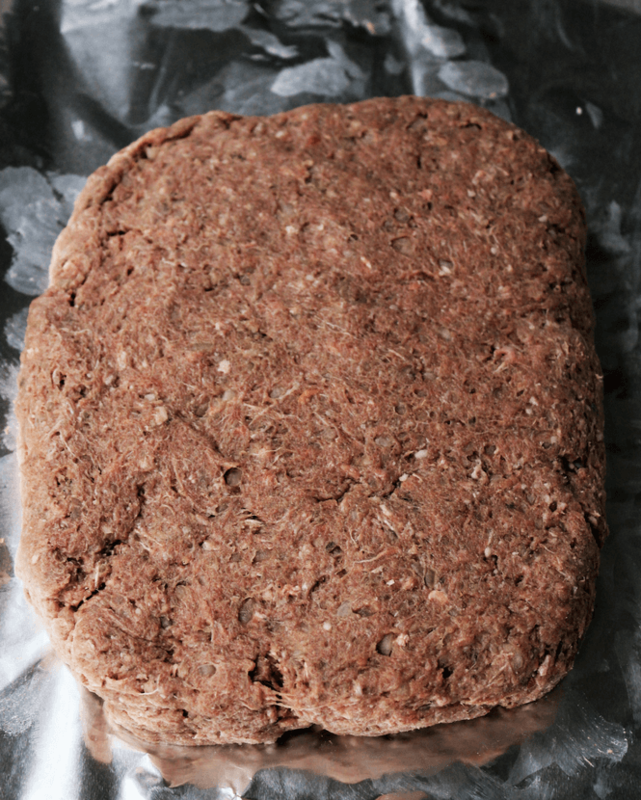 Remove from food processor and form into a meatloaf shape on a cookie sheet covered with foil. Flatten out the meatloaf so it is thinner than a typical meatloaf. 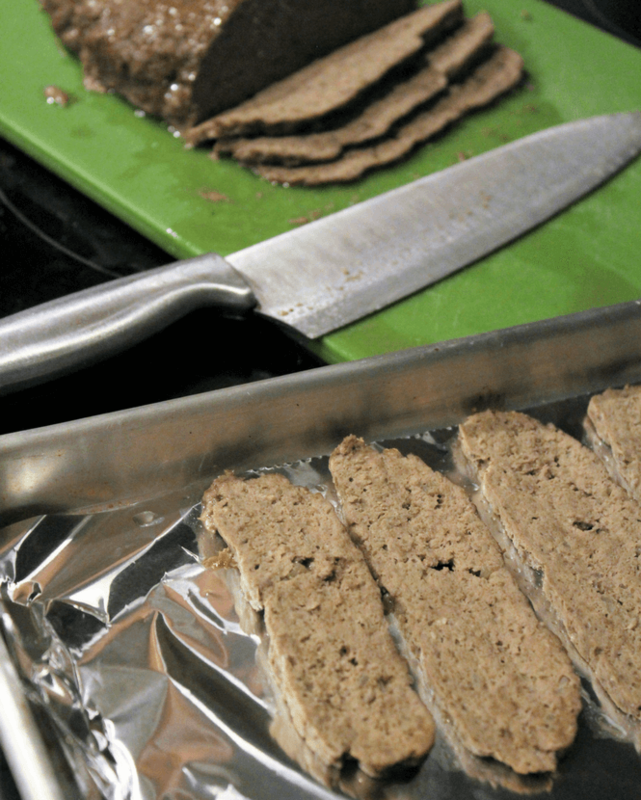 Place the sliced meat onto the foil covered cookie sheet. Broil for 5 minutes. You will probably need to do 2 batches to fit all the meat. Make your tzatziki sauce (you can buy the premade). 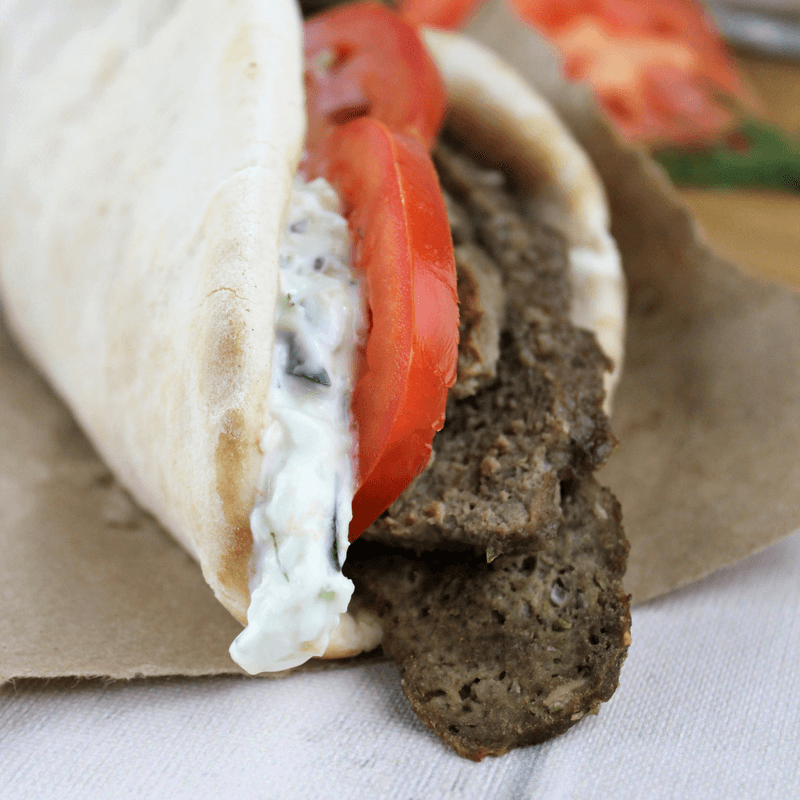 Put together your lamb gyros with 3 slices of gyros meat, sliced tomatoes and tzatziki sauce on pita or naan bread.